We have four houses: Beech, Maple, Oak and Willow. All of the children from Year 1 to Year 6 (and all of the staff) are divided into school houses. We ensure that siblings are placed into the same house. Children can earn house points for good work and behaviour both inside and outside the classroom. Each classroom has a chart for children to record the house points that they have been given and at the end of each week the House Captains collect the points ready to announce in the Monday whole school assembly. Each weekly total is added to the running total which is displayed in the drama hall. At the end of the year after the sports day points have been added (which can change everything! ), the winning house is announced and presented with a trophy. Beech trees (Fagus sylvatica) are native to this country and they are deciduous. 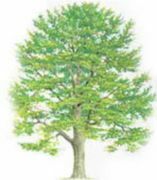 The leaves on a Beech are toothed and broad. Beech trees produce nuts (masts) in autumn which are eaten by deer, squirrels and mice. Some can reach a height of 40 metres! The maple (Acer campestre) is a small, native tree which is often found at the edge of woodland and in hedgerows. It rarely grows more than 15m tall. They produce winged seeds that are similar to those on sycamore trees. 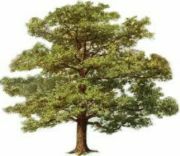 Oak trees (Quercus robur) are often used to symbolise great strength and endurance. They can grow to well over 30 metres in height and can live for 1,000 years or more! They are easy to identify in autumn when they produce acorns which are eaten by many birds and small mammals. Willow trees have a very distinct appearance with branches that droop down towards the ground. They are deciduous trees with elongated leaves which are green on the upper side and whitish on the lower side. There are many species but the most well-know is the weeping willow (Salix babylonia). 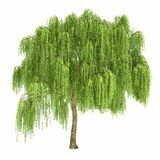 Willow trees are one of the fastest growing plants in the world!